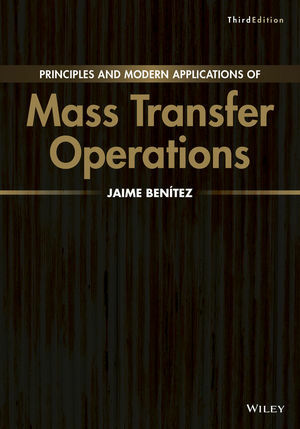 Jaime Benítez taught mass transfer operations for chemical engineers for 35 years. He earned his PhD in Environmental Engineering at Rensselaer Polytechnic Institute (RPI) in 1976. He is a retired professor of the Chemical Engineering Department, University of Puerto Rico at Mayagüez.